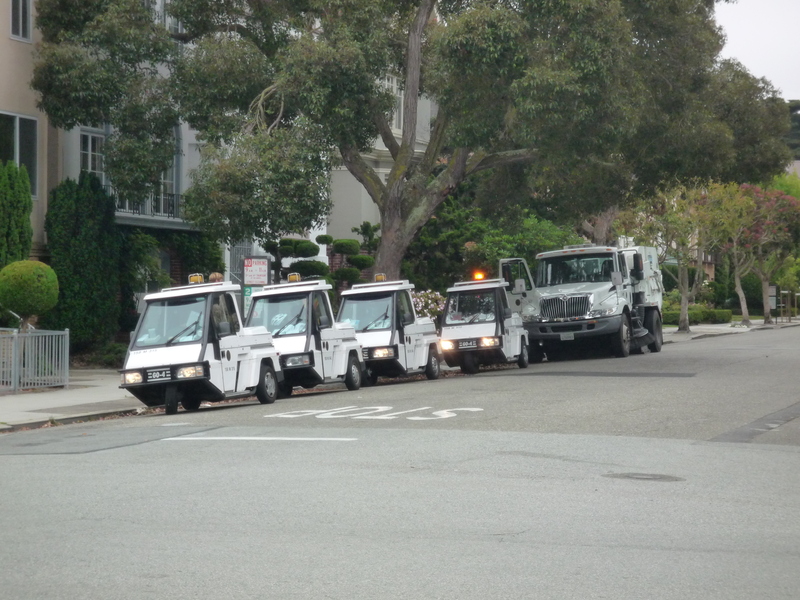 I woke up from a peaceful slumber this morning to the sounds of the street sweeper making its way down my block. I wondered if I had accidently parked on the wrong side of the street the night before. I ran down the hallway to the living room and peered out the window. Sure enough, I was parked directly in the path of the street sweeper. I could see him flanked by two meter maids in their dopey little three-wheeled vehicles. I debated whether or not to run outside and try to move my car before they got there, but I knew that I wouldn’t make it in time. I wasn’t even wearing any pants. I had to stand there in my boxers as they ticketed my car. I was powerless to do anything. All I could do was watch as sixty-six dollars went the drain. I hate street sweeping tickets. Mostly because I have no one to blame but myself. I should have read the damn sign. Too little, too late.